Already a customer? Click here to book your next visit! A highly detailed clean - Our cleans are tailored specifically to each client. We listen closely to what is important to you. We also prioritize our time according to which areas of your home can use the most attention. Efficient and thorough - We practice thoughtful and methodical cleans. This ensures you get the most value from our time, and that we are less likely to miss important tasks. The most impact - Stainless steel, granite, chrome, windows and glass shower doors will be left spotlessly clean, Mirrors will be cleaned and shined streak-free. - Sinks scrubbed and shined. - Fixtures cleaned and shined. - Mirrors washed and shined. - Countertops: items removed from countertop and cleaned and / or dusted, surfaces entirely cleaned and dried, items replaced as you had them. - Showers / tubs thoroughly scrubbed to provide maximum clean and shine. Walls and basin will be cleaned. Special attention will be paid to hard water deposits, soap scum and mold formations on glass shower doors, grout lines, and drains. Hard water deposits will normally take more than one cleaning session to remove. - Light fixtures, towel rods, etc. dusted and hand towels folded and placed. - Walls and baseboards cleaned. - Toilets, and walls, and floors surrounding toilet thoroughly sanitized and cleaned. Toilet ring removed. - Floors cleaned by hand. - Counters: items are moved, cleaned beneath, and replaced. - Counter appliances are cleaned and shined. - Stove stop, and all stove surfaces are cleaned and shined. - Top of hood fan wiped down. - Sink and fixture is scrubbed, cleaned and shined. - Fridge exterior is cleaned/shined. - Microwave interior and exterior is always thoroughly cleaned. - Garbage container cleaned, garbage removed and bin liner replaced. - Window and sill above sink cleaned. - Floors vacuumed and washed. - "Extras" are completed as time allows, or is as needed, and include inside/outside of cupboards and drawers, inside of fridge, inside of oven, behind/underneath/beside stove, behind/underneath/beside fridge. 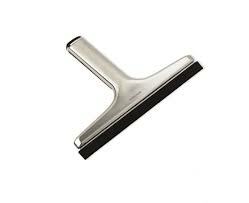 Surfaces will be properly cleaned/dusted, as in items will be lifted up and dusted beneath. If the surface requires cleaning, that will be done. If the items themselves require dusting, that will be done as well. Tops of switch covers, electrical outlets, baseboard heaters, and baseboards are always taken care of. Absolutely essential to any cleaning regimen. It is the only cloth that leaves a streak and lint free surface. Vinegar makes every surface shine. Add some essential oils with anti-fungal, anti-viral, and antiseptic properties, such as Cinnamon, Lemon, and Peppermint. Baking Soda is fantastic when a light touch is needed on built up residue. It also removes soap scum better than any commercial product out there. Peel Power is an environmentally friendly, biodegradable and 100% active natural citrus degreaser/cleaner and deodorizer and completely water soluble. Peel Power is safe to use on concrete stains, tar, floors, kitchen counters, bathrooms and much more. NATURE POWER is an all purpose cleaner/degreaser and biodegradable. Highly concentrated in nature. Made with citrus extract, Nature Power is great for cutting through tough dirt, grease and stains. Safe to use on walls, floors, counter tops, machinery, appliances and much more, this all purpose cleaner is your one stop shop to a clean and beautiful home. It is really important to focus on first removing the greasy residue. Step 1: Spray surface down liberally with your favourite degreasing NON-ABRASIVE cleaner, rinse thoroughly with fresh clean water, then dry with an absorbent rag. Step 2: Buff out the entire surface with a clean micro-fibre cloth until it shines. This is easily maintained for at least a week, even with a houseful of sticky fingers that are attracted to every shiny clean surface, with minimal effort from you and your microfiber cloth. WARNING: Do not use Windex on your stainless steel! It leaves a slight residue on these surfaces, and you will be forever trying to rub out the smears. Scrub lightly in a circular motion RED or WHITE scotch brite pad - you will actually feel when the residue has been rubbed off. NEVER USE GREEN SCOTCH BRITE PADS! They will scratch your glass!! Rinse, and squeegee dry. You may not be able to remove all mineral deposits this first time, but perseverance will yield fantastic results. If it still looks like the before picture do not worry - I can help! I have commercial products and a practiced technique that I regularly use to restore my customers' glass shower doors to their original crystal clear state. Also, ceramic toilet bowl discolourations, ceramic tub or sink rings or discolourations, hard water deposits on and around faucets. These can be frustrating problems for the home and business owner to be sure, but they are easily taken care of with the right product and application. I have a proven technique that is quick and chemical free. Pulling out the appliances, and cleaning floors, walls, cabinets surrounding them and the exterior and interior of the appliance. Appliance cleaning includes a thorough cleaning of the shelving and drawers and walls of the fridge, as well as a proper degreasing and scrubbing of interior of the stove. If the stove is a self-cleaning unit, we will turn on the self cleaner, and then wipe it clean afterwards, as time allows. We do not provide restoration services - if the stove requires more than one application of our industrial strength oven cleaner, we will not continue unless specifically requested to do so. Cabinets, inside, outside, tops and bottoms. Windows, window tracks, window sills, and window sills. Only interiors of windows are cleaned, with the exception of sliding glass and french doors, which we will clean in and out. All doors, door frames, door trim, closet doors, and closet door trim. Bathrooms top to bottom, including bathroom fan covers when necessary. This includes ring around the toilet removal. Light switch covers, and electrical outlet covers. Marks on walls as noticed. Entire walls top to bottom. Glass shower door restoration to crystal clear hotel standard. Exteriors of easy to reach windows. BATHROOMS receive a top to bottom clean, chrome and glass always polished. KITCHEN receives a top to bottom clean, including the inside all drawers/cupboards for crumbs/dirt. Vacuum under and behind furniture. Inspect pull out beds for use. Clean bottoms of chair legs. Hourly rate: $35.00 / hour. Laundry off site completed at $12.50 / load. Next day delivery guaranteed.